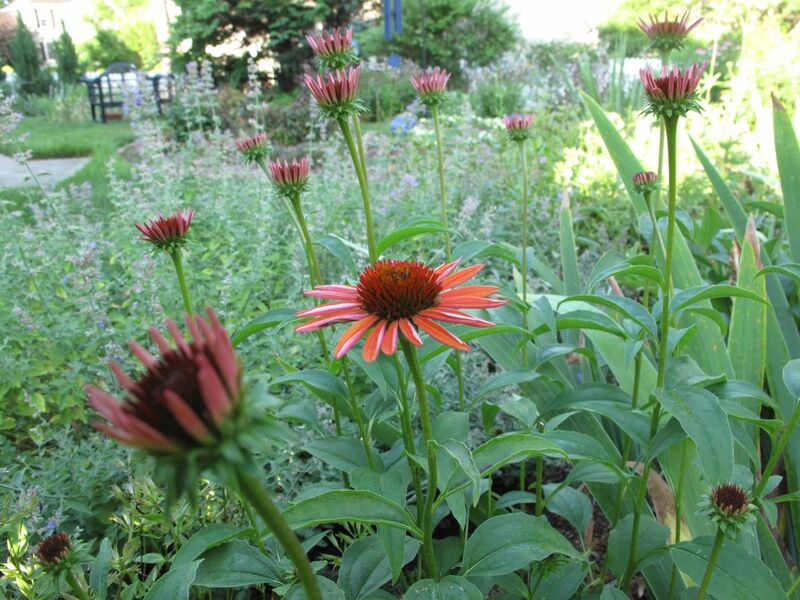 Cathy at Words and Herbs began a project last week to review her 2014 garden in three segments: Spring, Summer, and Late Summer/Autumn—one each week running up to Christmas—and she encouraged others to join in. This is part two of my 2014 review, a look back at Summer. 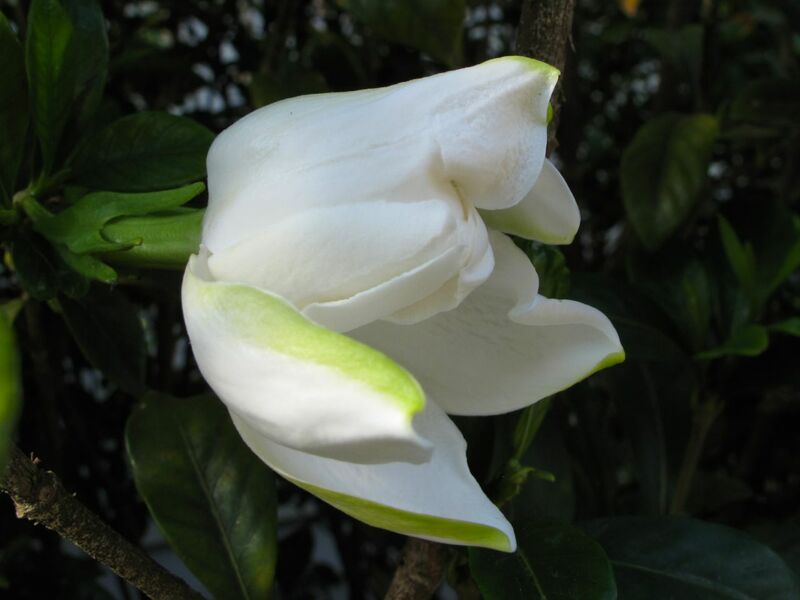 In Early June the sight of a gardenia flower opening was especially appreciated. There were very few blooms this year as the bushes had been severely damaged by last winter’s cold. Several small evergreen trees in the mixed border hedge had to be removed, leaving some broad gaps in the overall structure (that still need to be filled), but many parts of the garden were doing well. 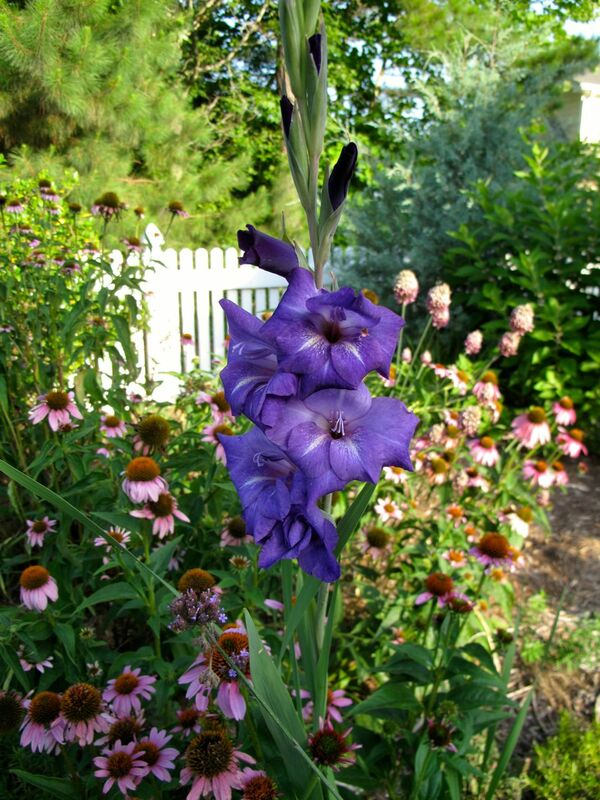 The iris flowers were being replaced by those of nepeta, echinacea and monarda. There were several refreshing rains. For the next few days there were a lot of flowers opening. Monitoring them made early morning garden walks delightful. 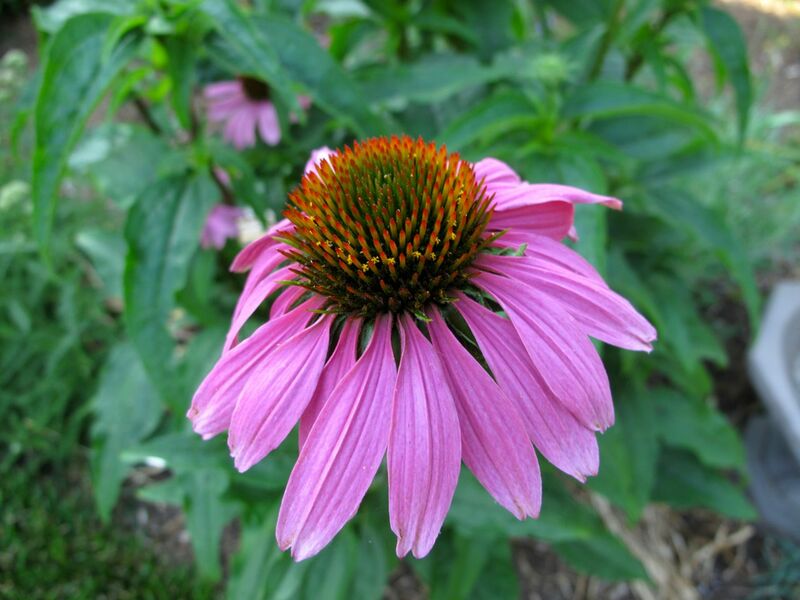 On June 11 Echinacea ‘Big Sky Sundown’ added its beautiful salmon hue to the Northern Border. 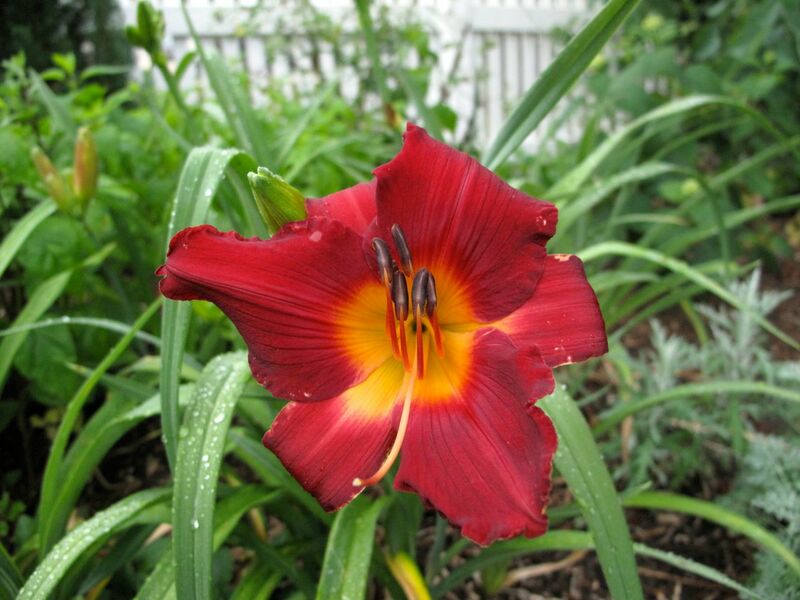 On June 12, I noticed the first daylily had opened in the Southern Border—a full week earlier than last year. 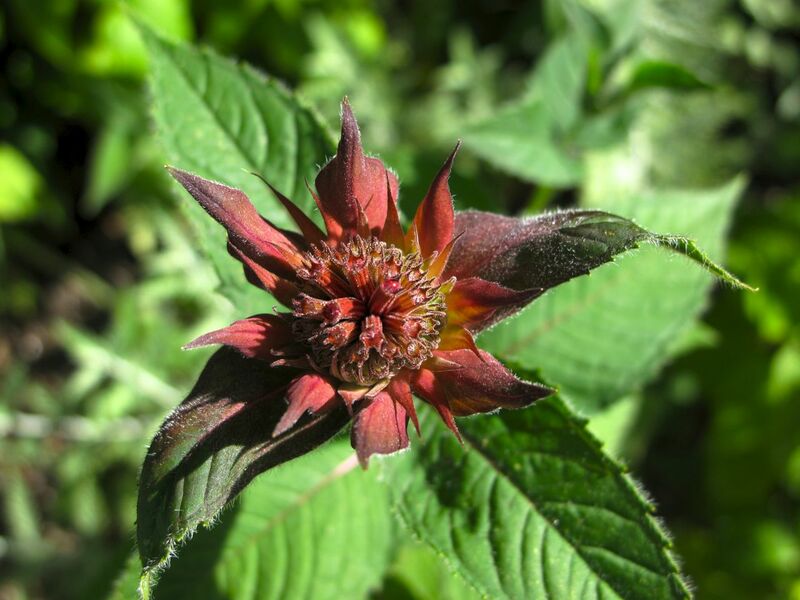 By this time of the summer American Goldfinches could be seen gathering around stalks of Verbena bonariensis, while bees were feasting on lavender and on Monarda didyma and Tradescantia, both native plants. 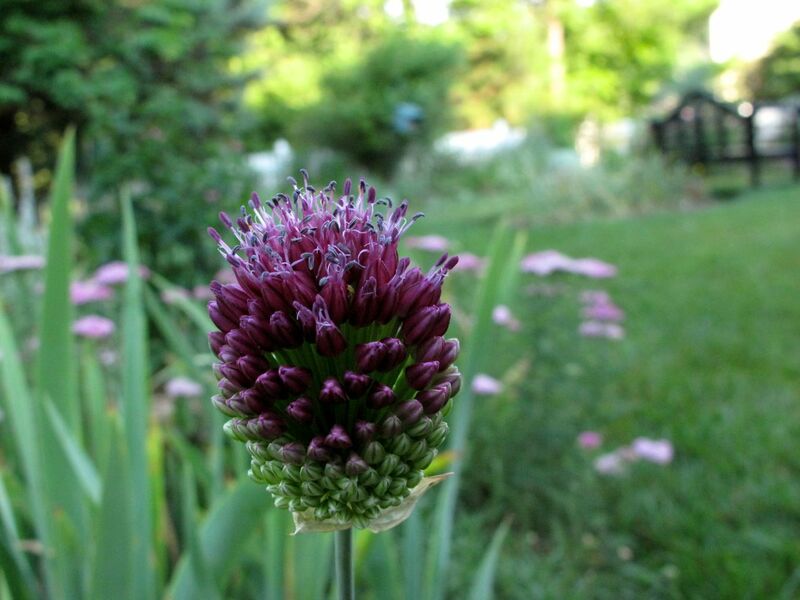 I was happy to see the rich color of Drumstick allium return to the landscape. 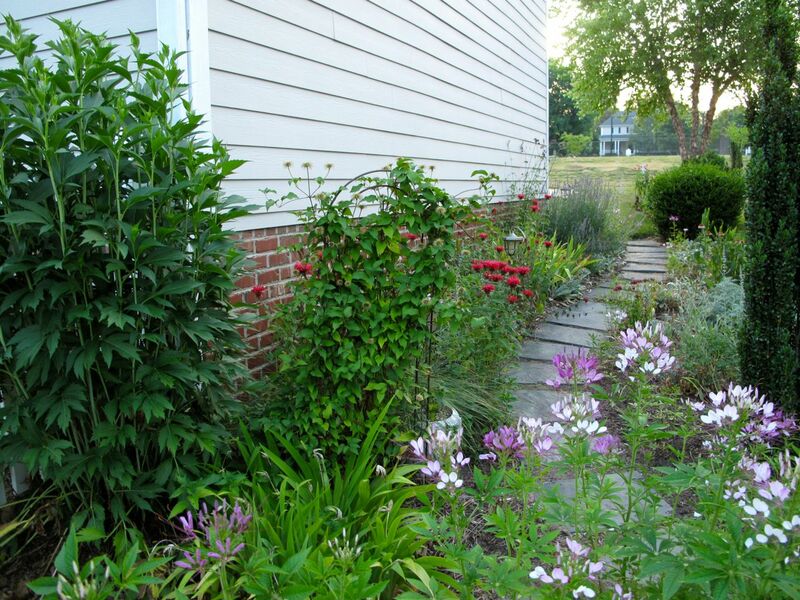 Feeling very ambitious, I suppose, on June 19 I took a complete inventory of the plantings in my narrow side garden along the Southern Path. By this month I was pretty much done gardening for the summer and wrote a long excuse about it the third week in July. But thank goodness during this time I continued to photograph the garden, to search out flowers for Monday vases and to write occasional posts. I can see this is where having a better structural foundation for the garden would help carry it through the summer. As it was, long views were not always pleasing during July, but up close there definitely were a few hotspots of color. In early July, I had some limited success with bachelor buttons grown from seed. I love that blue color. 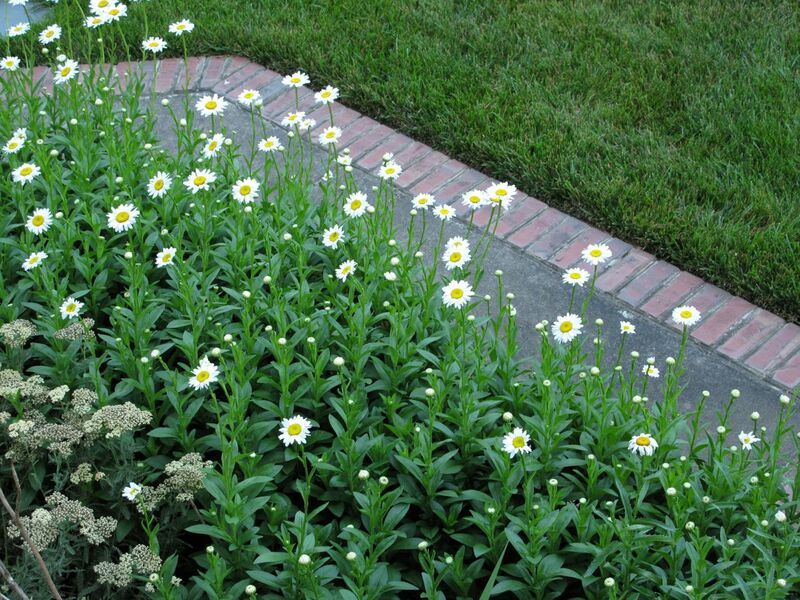 What I most enjoy is to have flowers that return reliably each year such as Shasta Daisy, tall garden phlox and Buddleja. Also in the first days of the July I was happy to see a few gladioli flowers. 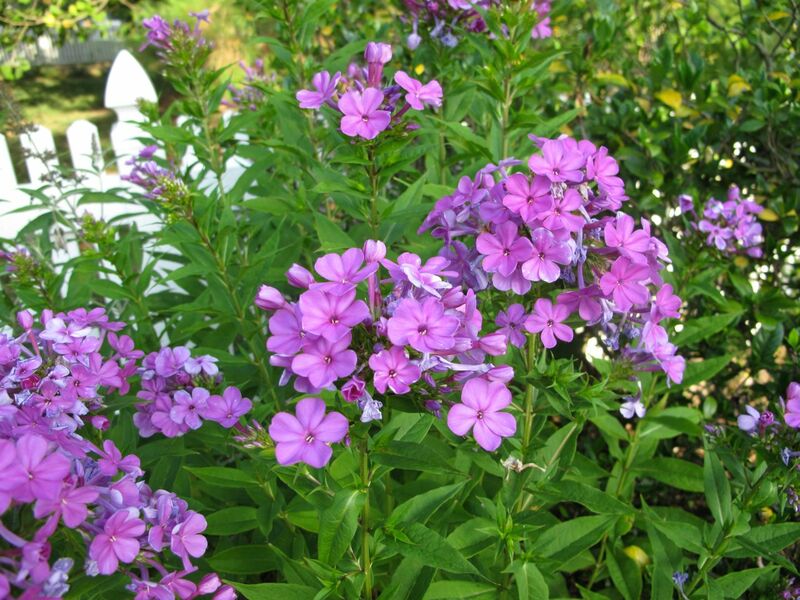 I had planted a new collection of colors (purple, lime green and white), but none of them bloomed well at all. This rich blue one was planted when the garden was first created, and is one of the last remaining gladioli bulbs from that time. 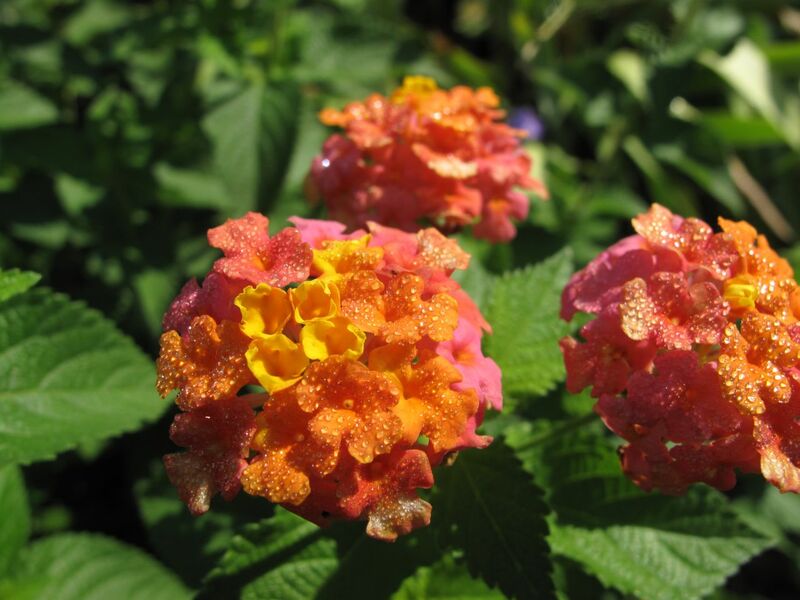 Much later in July I welcomed the first Lantana flowers. 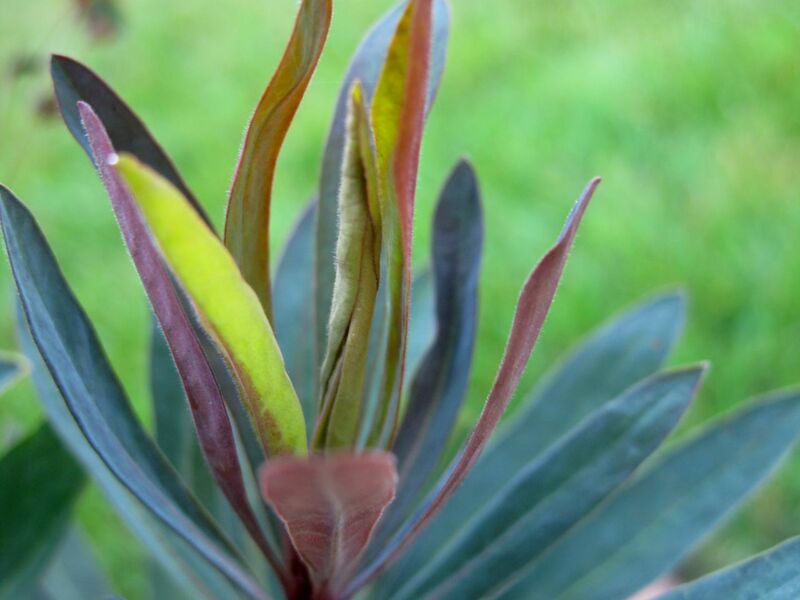 This plant had died back hard during the cold winter and it took longer than usual to bloom. 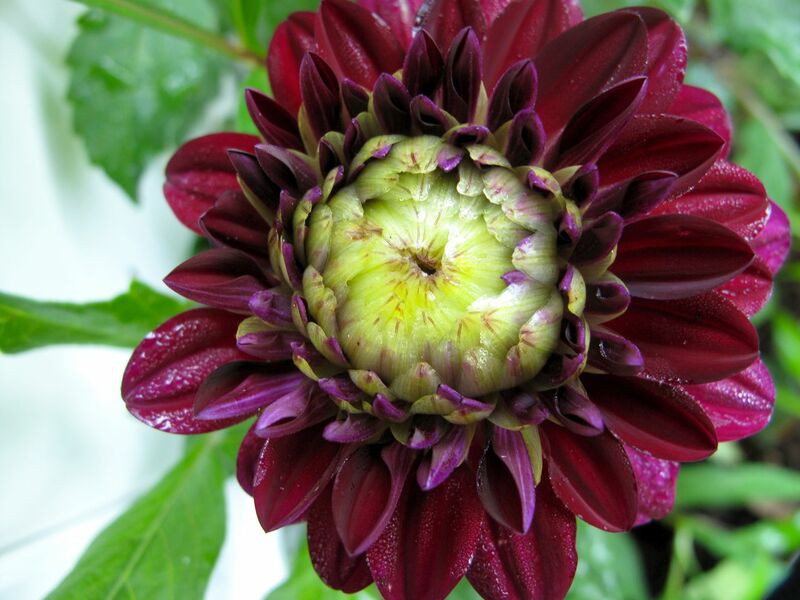 Once open it was covered in flowers until the first freeze. 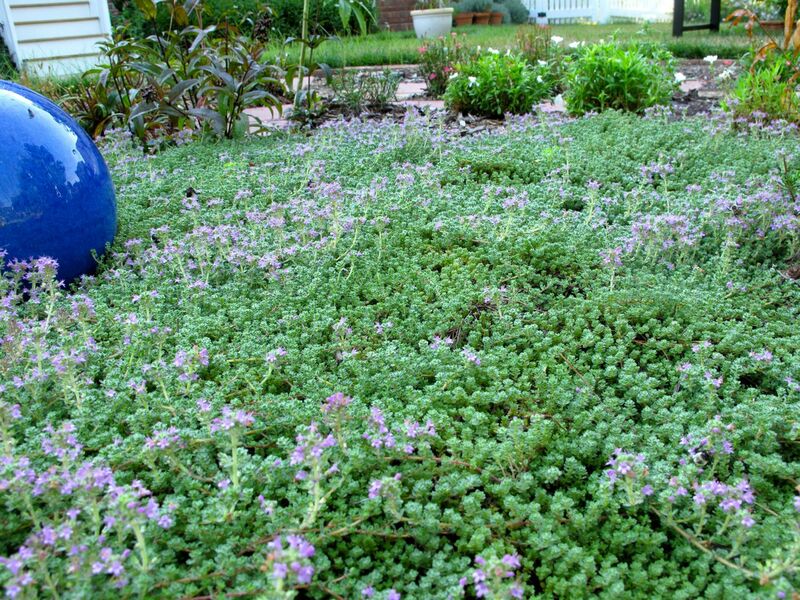 Similarly, Thyme covered the center of the meditation circle with blooms all summer. Euphorbia ‘Blackbird’ did well in a patio container and Salvia guaranitica ‘Black and Blue’ burst outwhenever the rains tempered the heat, such as on July 23. Several patches of zinnia made a colorful impact. Up to this point, while nearby areas were getting lots of precipitation this summer, we mostly just saw the clouds. More consistent and beneficial rains finally returned to this area in early August. Rudbeckia fulgida (Orange Coneflower) and Salvia greggii ‘Furman’s Red’ (Autumn Sage) responded immediately but neither put on much of a show. Storms drenched the garden in midAugust, a welcome relief. 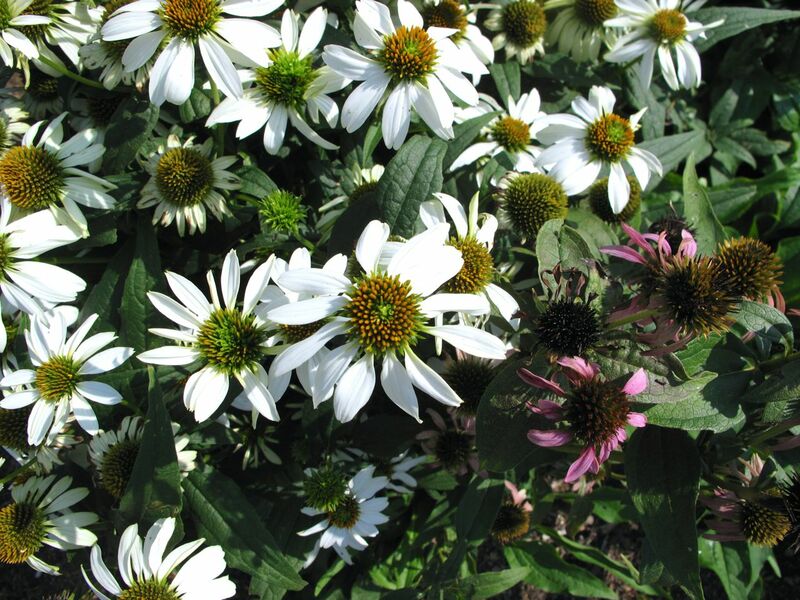 A quick mid-month bloom study showed how the plants appreciated the rain, including the White Swan Echinacea and a new dahlia. 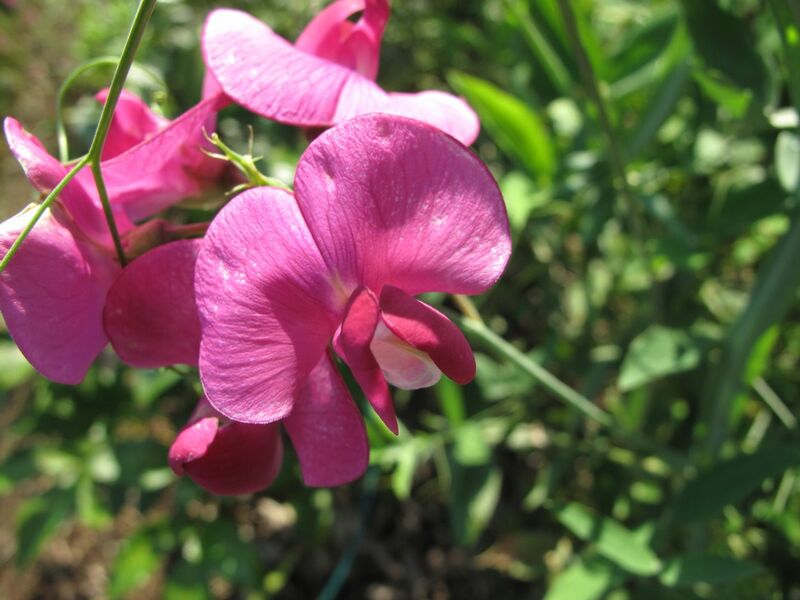 My passalong perennial sweet pea enjoyed a comeback that lasted until the first freeze. 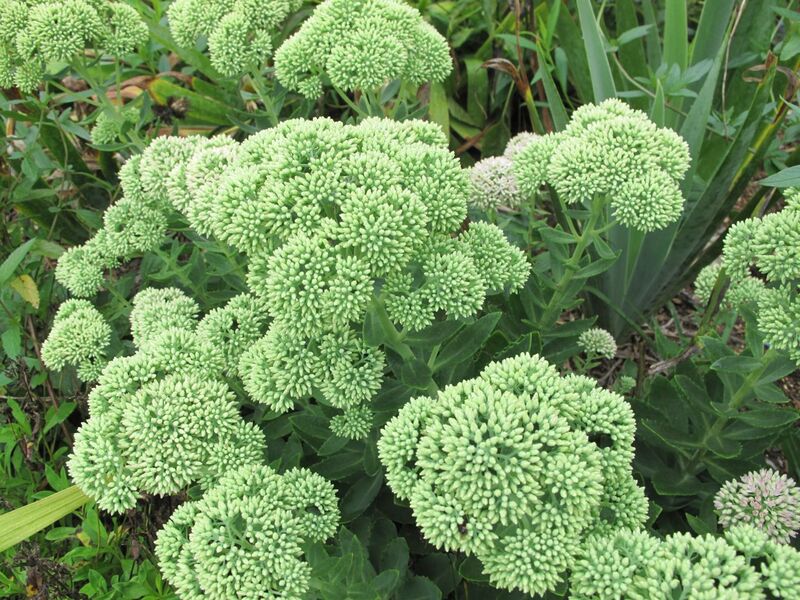 Later in August Sedum ‘Autumn Joy’ began flowering. 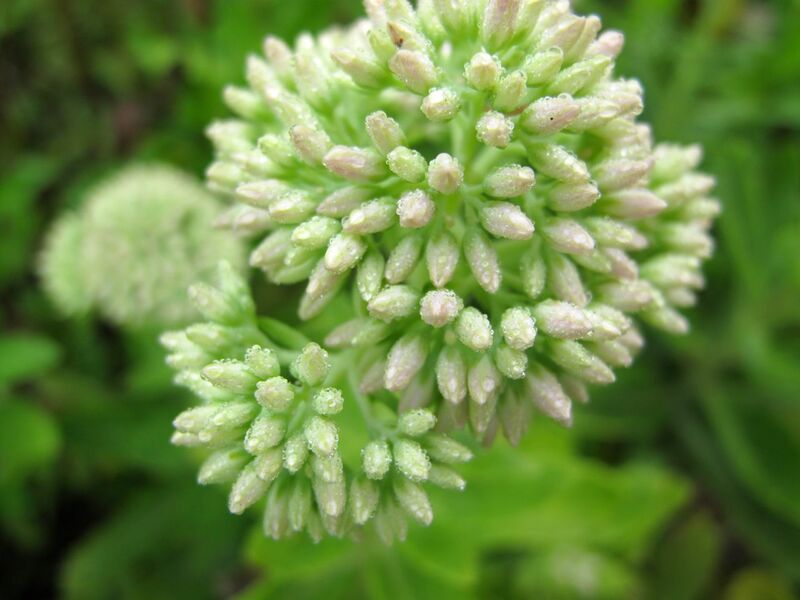 This is valuable plant for long-lasting effect. 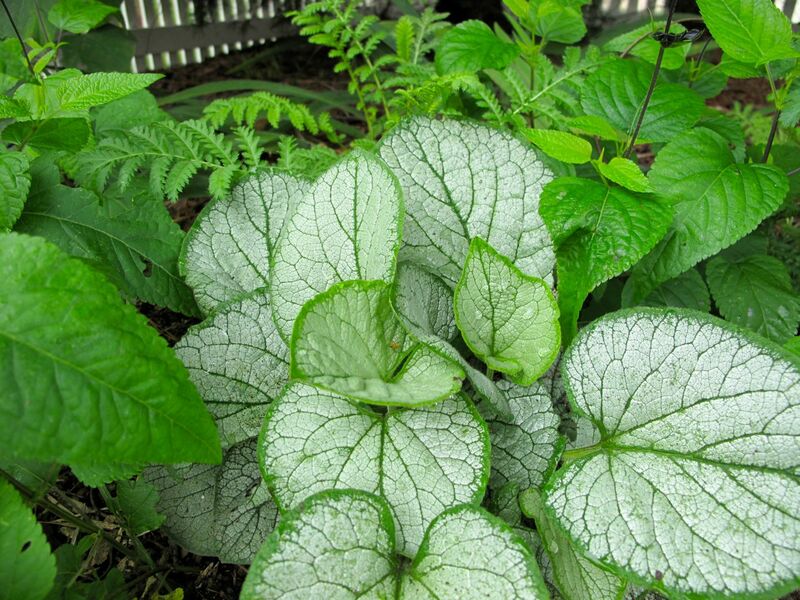 For August Garden Bloggers Foliage Day the new-to-the-garden-this-year Brunnera macrophylla ‘Silver Heart’ continued to prove its worth. 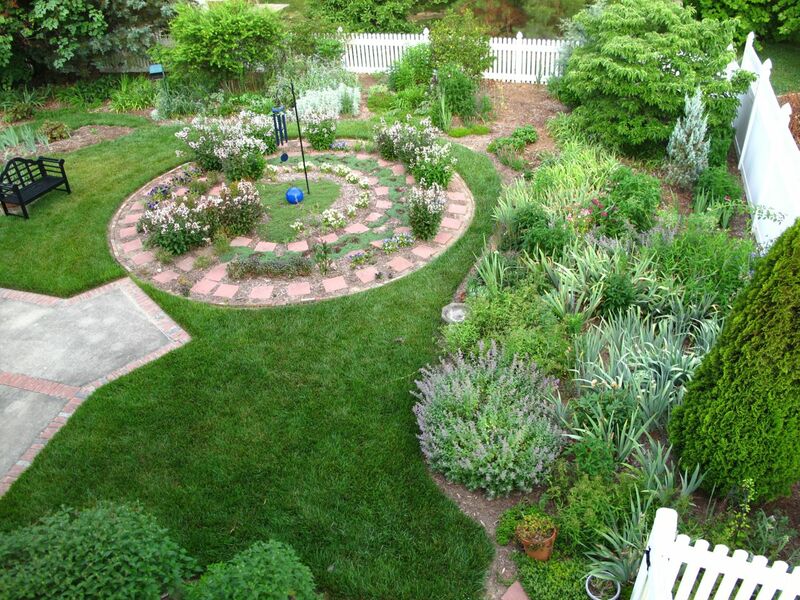 Thank you to Cathy for hosting this 2014 garden review. It was good to look back and remember overall the summer garden was greener and stronger this summer than usual. 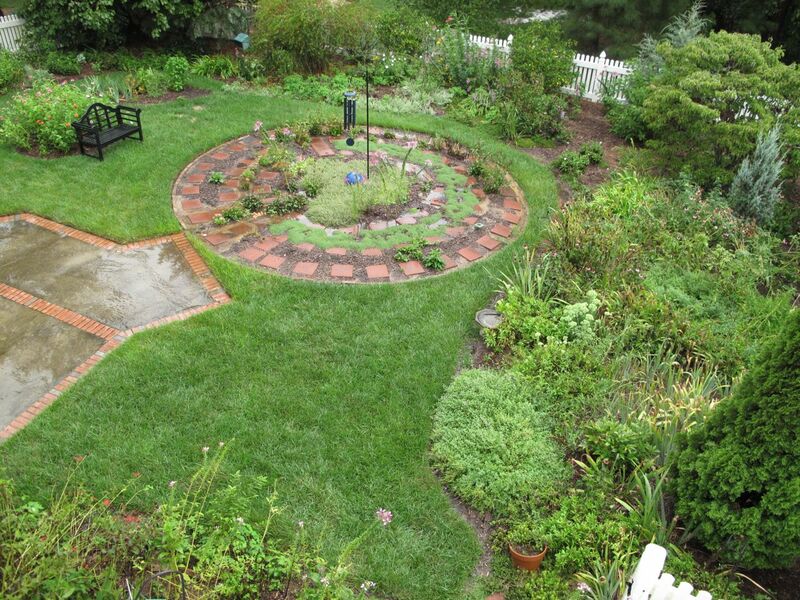 May 31, 2014 marked my 13th year in this garden. I feel fortunate to be able to tend this small, peaceful space, but honestly I rarely spend much time working in the summer garden. Nevertheless, during these hot months the garden had some very nice moments and by summer’s end, I discovered I was rejuvenated and more eager to partner with it once again. Taking a break was worth it. 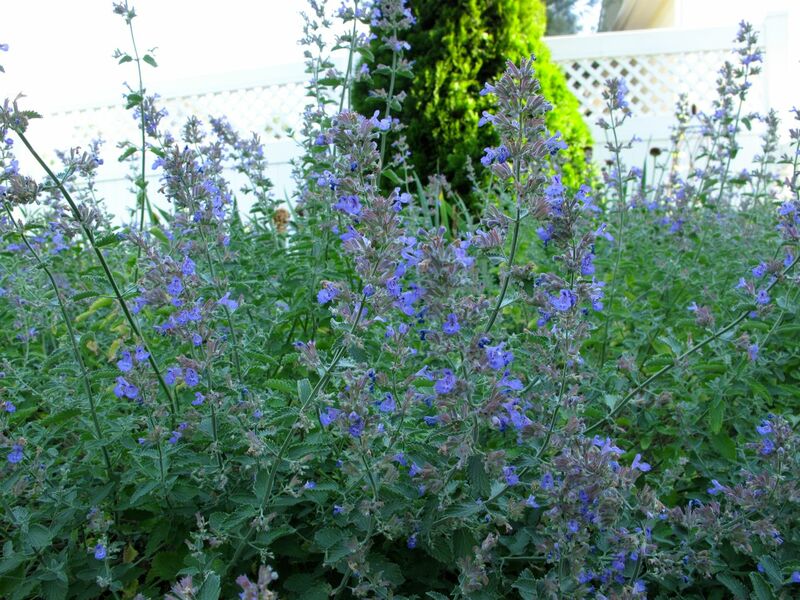 This entry was posted in garden and tagged almanac, annual garden review, summer garden on December 10, 2014 by pbmgarden. 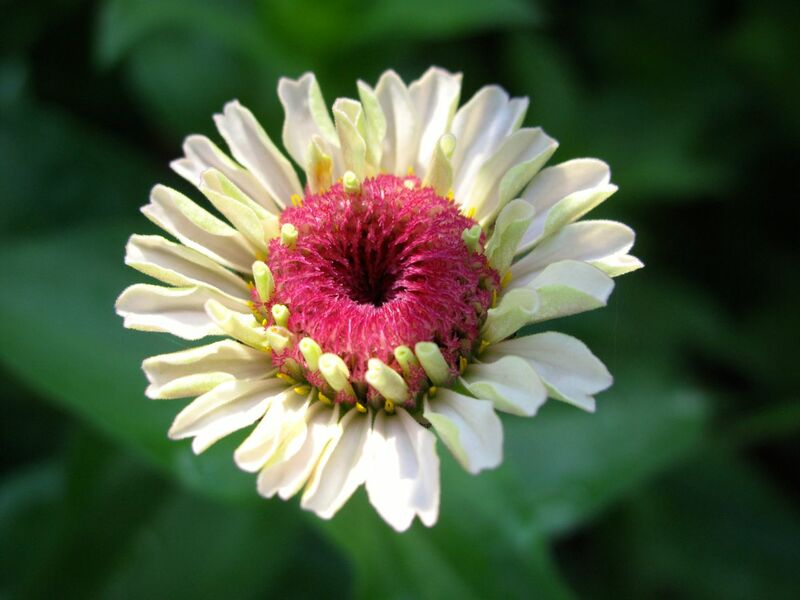 Lovely to see all your summer treasures again Susie, and I really love that white and pink Zinnia, similar to one I had this summer. I get the feeling that your blog sub-title words “rejuvenation and joy” have taken back their meaning for you at the end of this year. I do hope so anyway. Thanks for joining me again Susie! I’m really enjoying this! Thanks Cathy. I’m enjoying doing a review in conjunction with yours and you’re so right about those special words. I enjoy my garden but sometimes I feel guilty for not wanting to take care of it every day. Blogging helps me keep a hand in it throughout those times when I otherwise would just ignore it totally. This is lovely Susie, I haven’t taken enough photographs of my own garden to join in this year, but I am really enjoying seeing how your garden developed. Your garden is gorgeous, your first west facing shot is picture book perfect. I really like the colour of ‘Blue Boy’ and the ‘Adokeep’ Buddleja. I know that feeling too of taking a break and then feeling rejuvenated. Thanks so much Julie! Blue flowers are so nice, aren’t they? Hope you’re getting your camera ready for next year. Maybe we’ll both be rejuvenated and ready by then. Your touch of summer on this cold, gray, dreary winter day is so appreciated…Thank you. Glad to share the garden today. It started out sunny but is cloudy and gray this afternoon here too. Beautiful review of summer. And I am very excited to see that you also have an Adonis Blue Buddleia! You may have already told me, but my memory isn’t what it was. How big does it grow for you, and how long have you had it? I bought it because 1) it was blue; and 2) it’s supposed to be compact. Mine just finished its second season and did pretty well, growing just about 3’x3′ and blooming well if not exuberantly. Next year I expect it to come into its own. Thanks very much. Good luck with your Adonis Blue. 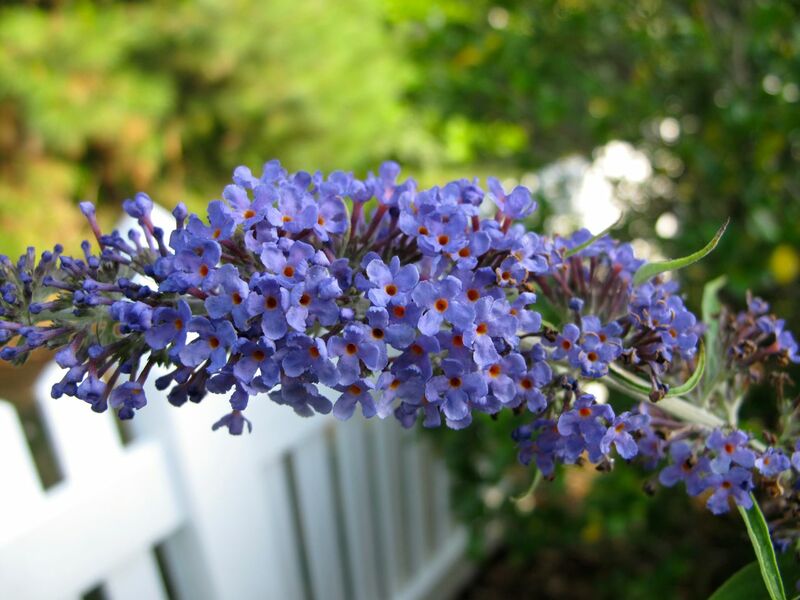 This butterfly bush is about 4-5 feet tall. It doesn’t flower well any more as it gets overtaken by the Swamp Sunflower each year. Good to know. I’ve got mine sited where there is nothing else taller around it. It is lovely to look back to assess the successes and joys of the past season. 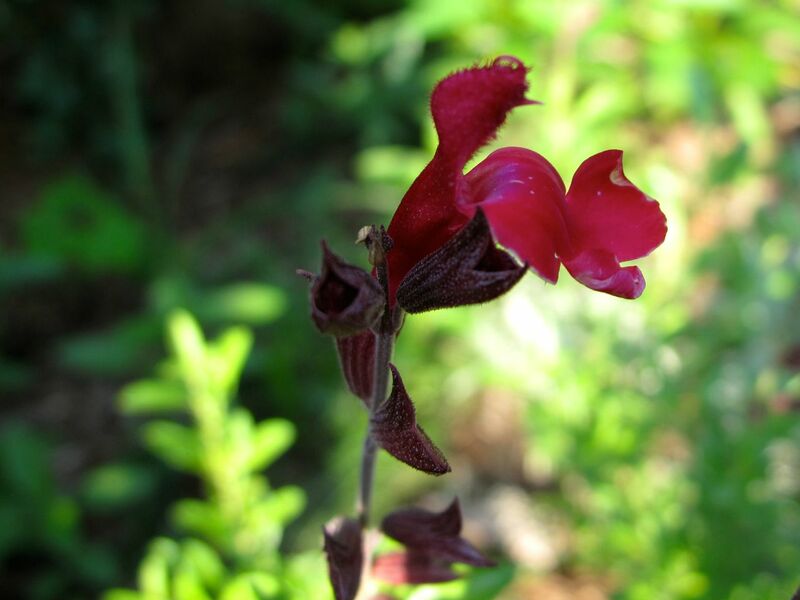 I am always drawn to your Salvia ‘Black and Blue’, I will certainly try to find one to buy. The photographs are all beautifully clear. Your choices really capture the essence of the space. Thank you Christina. I’m definitely more excited to look ahead to next year after reviewing the garden’s best moments from this year. 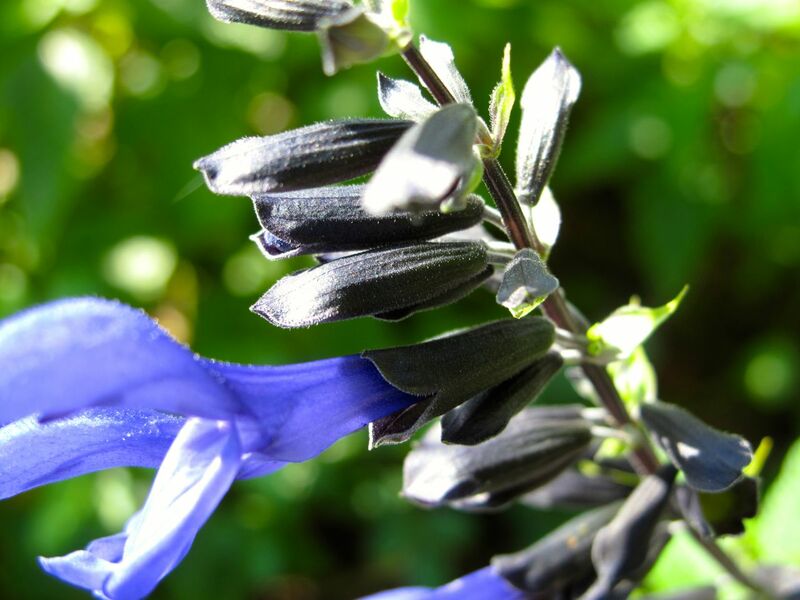 Salvia ‘Black and Blue’ did less well this year and I can’t pinpoint why. I think I’m move it around in spring to several new locations for testing. Hope you can find it to try for yourself. The coloration is really good. Thanks Donna. Seeing things from that bird’s eye view is a totally different experience than standing in front of the garden at ground level. I like the abstract look.